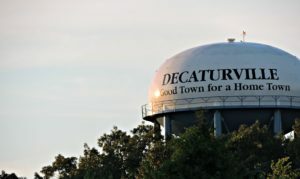 Decaturville, established in 1847, is the county seat of Decatur County and had a population of 867 at the 2010 cencus. The Decatur County Courthouse is located on Main Street in Decaturville, and the Court Square area is used as the backdrop for several community events throughout the year. To learn more about Decaturville, visit the town’s website or check out their Facebook page.